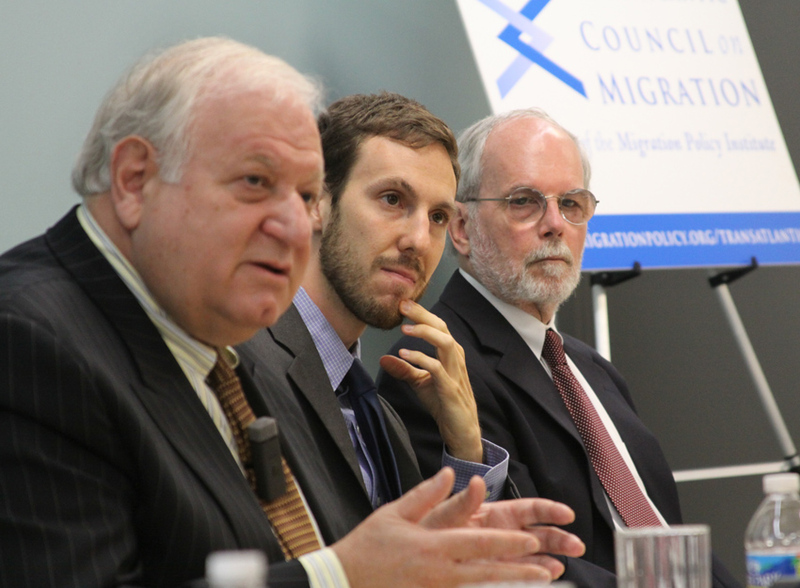 This Migration Policy Institute event was held to discuss the release of a new Migration Policy Institute book, Migration and the Great Recession: The Transatlantic Experience, which reviews how the financial and economic crisis of the late 2000s marked a sudden and dramatic interruption in international migration trends, and the effects of the economic turmoil on immigrant workers in major immigrant-receiving countries in Europe as well as the United States. Among the questions posed during the discussion: What will be the legacy of the crisis for immigrant workers and their families in coming years? How have the impacts of the recession on immigrant workers themselves, and responses of publics and politicians, differed on both sides of the Atlantic? Speakers are: volume editors Demetrios Papademetriou, Madeleine Sumption, and Aaron Terrazas, of MPI; Chad Stone, Chief Economist, the Center on Budget and Policy Priorities; and Gallya Lahav, Associate Professor of Political Science, State University of New York at Stony Brook.